Littleneck Outpost. Americano with sausage egg toast. Temporary partings with Carolina. Chelsea galleries. Paul Pfeiffer the best. 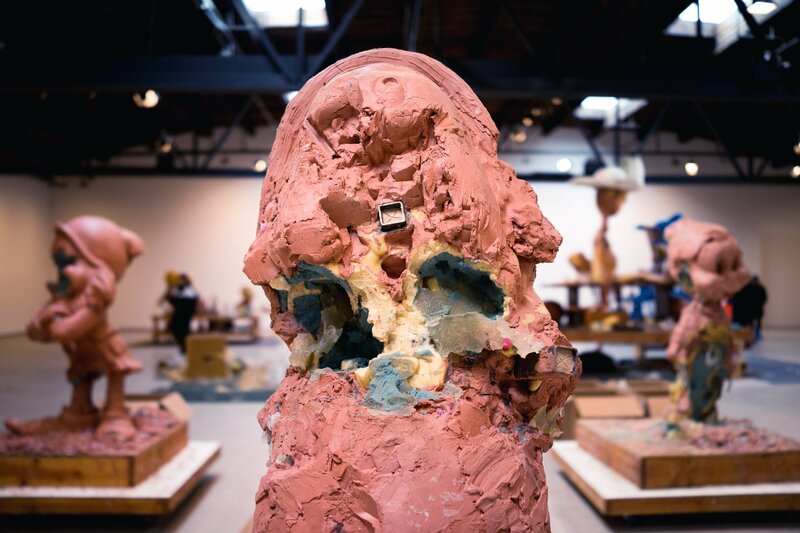 Paul McCarthy. Seven dwarves. Dreamland at the Whitney. SculptureCenter. Cosima von Bonin. Aki Sasamoto. PS1 Moma. Didn’t recognize Carolina at first. Mark Leckey. Many hits and many misses. Dinner at Casa Enrique. Mole and margarita galore. Busing it home. Doesn’t take my change. Kind driver. Not excited about a birthday party. Meeting Cassidy. Walking over. Funny crowd. Feeling out of place. Moving to another bar. Meeting more people. More drinks. To a loft space. Hipsters everywhere. Cash in the air. Black cat. Chuck Berry. Back to Ramona’s. Sensitivity without empathy is stupid. There until the bar closes.